The influence of Bill Bishop is reflected throughout this volume, even though his sudden death stopped a brilliant research career in full flow. Most of the authors are connected with Bill as research collaborators and students, or as the next generation of students of these supervisors, and much of the research reported here has been aided by grants from the fund that bears Bill's name. 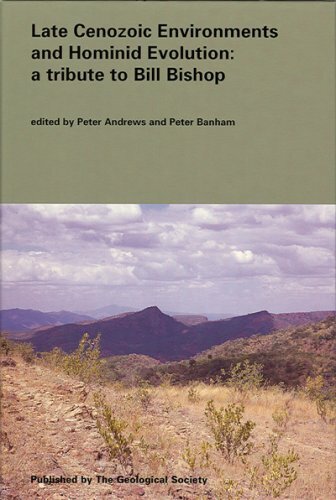 The volume begins with an appreciation of Bill's life and work; the research contributions that then follow are arranged in three thematic sections, each with a scene-setting editorial overview. 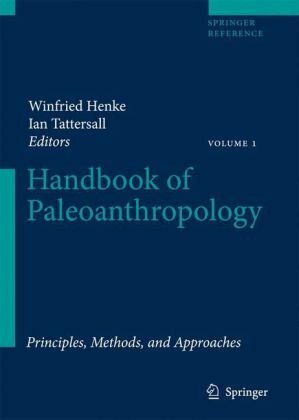 Written for the specialist or student in evolutionary biology and paleontology this book can nevertheless be studied by anyone who has an interest in these topics. 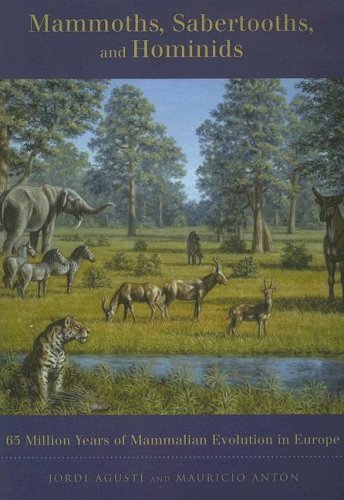 For this reviewer, the main interest in this book was in the effect of climate on mammalian extinctions, with the hopes of shedding light on the current debate on climate change/global warming. Since the book is directed towards the specialist, the non-specialist will have to deal with a large amount of terminology, this arising mostly from the classification schemes used in paleontology and zoology. This reviewer found it helpful to use a few note sheets along the way to assist in remembering some of the scientific names of the major fauna that did exist in the time frame over which the book covers. Having some background in biology and geophysics will also help in the assimilation of the material in the book, particularly in cases where the authors are discussing dating techniques. There is no part of this book that is uninteresting, and the excellent plates and drawings in the book add to the pleasure in its perusal. 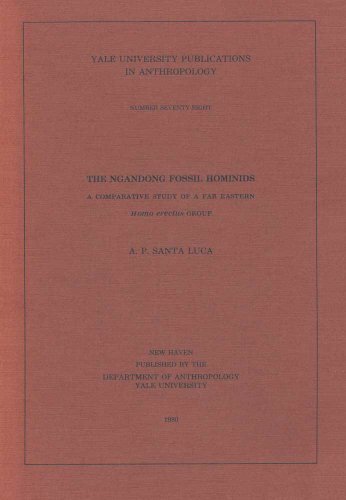 And the book went beyond this reviewer's expectations regarding the effects of climate change on mammalian extinctions: there are many examples discussed in the book and a few surprises, such as the assertion that the Mediterranean was completely desiccated around 6,000,000 years ago (the late Miocene). Early on though the authors caution the reader that even though much is known now regarding the time series of temperatures and oceanic changes throughout the last 65,000,000 years, one cannot conclude that there is an exact correlation between changes in climate and changes in mammalian ecosystems. Very interesting also is how the authors deduce the dietary habits of extinct mammals by examining their fossilized teeth and jawbones. This "comparative" paleontology allows one to ascertain what flora were more prevalent in ages past by comparing the dental arrangements of modern mammals with those that are extinct. The variability in dental morphology it seems does have a direct correlation with the floral that were present during the time frame that the mammal was alive. An excellent example of this, which the authors discuss in the book, is the presence of `hypsodonty', which is dental morphology wherein the teeth have high crowns and enamel that extends beyond the gum line. The authors explain this as an adaptation to the silica grains that would be present in the grasses of the Pliocene age. Mammals without this adaptation would face extinction pressures due to the quick abrasion of the teeth due to these grains. Another interesting discussion in the book concerns the `Monterey hypothesis', which is an attempt to understand the "climate crisis" in the middle Miocene in terms of the sequestering of large quantities of organic carbon. This resulted in accelerated global cooling because of the drawdown of atmospheric CO2 and the end of certain warm-water circulations. The authors discuss the experimental evidence for this hypothesis. Mammalian extinctions can therefore be caused by climate change as well as genetics. The authors however point to another cause of these extinctions, namely the rise of the homo sapiens species, which the authors characterize as being "unique" in "its ability to exterminate other species." They give evidence to support this, but also note that that modern humans also fall prey to the very mammals that benefit from human expansion, such as the rats in the Middle Ages. But as they also note, H. sapiens is a wandering species. They moved into Australia as well as North America, and of course now dominate the planet. But this species, which on rare occasions decimates its own, is insatiably curious and has shown absolute brilliance throughout its sojourn on Earth...and on other worlds where it is just getting started. ... through 65 million years of "punctuated" mammalian evolution, based on the vast fossil record of greater Europe. If you don't have something of a fresh background in archaeological zoology, if concepts like "clades" and "radiations" are unfamiliar, if you've never been able to keep the Eocene separate from the "epicene", you'll never get past the first 5 million years. 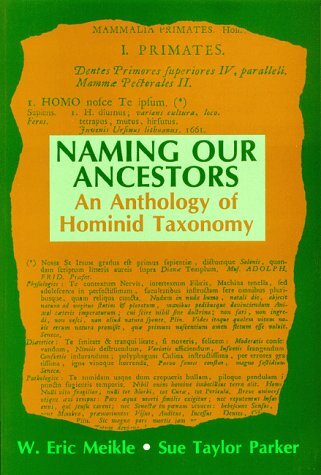 There are hundreds, possibly thousands, of words used freely in this book that are not part of our everyday vocabulary; on ONE random page, (56), I find: microchoerid, adapid, dimorphism, creodont, hypercarnivorous, sectorial, cursorial, digitigrade, miacid, canid, ursid, amphicyonid, paleothere, lophiodontid, and brachydont. And that doesn't include the italicized Genus/species names! Now many readers will be able to handle these terms, based on recognition of their Latin/Greek roots, but the onslaught of specialized vocabulary continues for 281 large pages. If you think I'm trying to scare you, you're right. I don't want you to waste your money. Nevertheless, this is a profoundly interesting and significant study of evolution within a delimited geography, revealing better than anything else I've read the random and contingent relationship between Darwin's "descent with modification" and the "catastrophic" events of the environment. By observing the waves of equilibrium and extinction/replacement in relation to changes in sea level, opening/closing of land-bridges due to continental drift, and huge shifts of climate, one can understand "evolution" over vast epochs of time far more credibly. The latter subject - climate change - makes this book more pertinent at present than mere intellectual curiosity. Climate change has been real. It has resulted in massive extinctions... and massive evolution of new forms, "endless forms most beautiful." By studying the climate changes of the past, we do have some chance of predicting the impact of the rapid climate change now occurring (with or without the uninformed consent of the McPalin crowd) and hedging our bets about our own chances as a species. I'm delighted, personally, by the realization that global warming will stimulate the evolution of wonderful new species, even new genera, within a few thousand years, but I'm unlikely to be around to see them. The difficulty of the text is partly relieved by excellent illustrations, including very clear drawings of key fossils and plausible re-imagining of the mammals they came from. In pictures and in words, you'll encounter a parade of preposterous critters - far more and far stranger than Noah's Ark could possibly have carried - all of which thrived and multiplied in some niche in the ever-changing environment of Europe. Among them, by the way, were monkeys, baboons, hominids, Homo erectus, Homo antecessor, Homo neanderthalis, and Homo sapiens -- all supplanted, alas, by Homo not-so-sapiens-after-all. I must confess feeling a bit unfair about giving this book bad press. First, as the other reviewers have mentioned, the illustrations are breathtaking (and yes, buy "The Big Cats and Their Fossil Relatives" as well). You don't have to be an evolution buff to enjoy Mauricio Antón's vivid drawings of monster pig entelodons, bizarrely pronged paleomerycids or huge-headed giant creodont predators. Another reviewer mentioned machairodonts; my personal favorites are the gorilla/horse-crossbreed-like chalicotheres. Second, the task of covering 65 myr of mammalian succession in a reader-friendly way is just about impossible; after all, we are talking about hundreds of genera known only by their latin names (and most paleontologists are oddly adverse to giving cool names like "Tyrannosaurus", sometimes they rather go for stuff like "Brachydiceratherium", "Paracynohyaenodon" or even "Parachleuastochoerus"). The book succeeds in compiling all of this chaos, and it contains an immense, invaluable amount of information. It is all in all a unique and beautiful work on an extremely interesting topic and heartily recommmended on those grounds alone. So when I choose to cut down my rating to a meagre three stars, it's more a cry to the authors to create a second edition than to actually deter buyers. Buy this book. If you know the jargon, great; if not, read it with a dictionary and a notebook. Enjoy. PS Top reviewer John Matlock "Gunny" has written almost 4000 reviews on all kinds of books, seemingly all of which are awarded five-star ratings. According to his profile he reviewed 6 other books the same day as MSaH. Just ignore commercial reviewers, folks. This is a fairly short, one volume introduction to sixty-five million years of life in Europe. Most of the interest, most of the books on evolutionary history seem to concentrate on the era of the dinosaurs. But when the comet hit, they were gone. Mammals took over the econogical niche previously held by the dinosaurs. We seem to feel that the mammals jumped full blown into what we see today. This book details the history of how the mammals came to take over the top of the pyramid. At the beginning there was only the small almost rodent like mammals that had existed alongside the dinosaurs. The book begins here, but points out that there is relatively little record from that time. The mammals were small and difficult to find in fossil form. From here the book goes on to the evolution of humans during only the last couple of million years. Well written and easy to read, the book covers a little known era. You will find though, an awful lot of new (and big) words to describe the various animals. 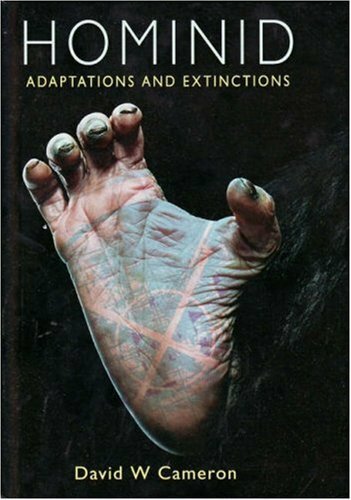 Hominid Adaptations and Extinctions focuses on the period of 22 to 2.5 million years ago and synthesizes the information currently avaliable on hominid palaeobiology. From 24 to 8 million years ago a large and anatomically diverse number of ape species populated present-day Africa, Asia, Europe, and the Middle East. They occupied a wide range of habitats—evergreen forests, bamboo "jungles," swamps, woodlands, and open savannas. Ultimately, these ape populations gave rise to the earliest humans, some 4.5 million years ago. At about 8 million years ago, however, the ape population of the world collapsed, leaving the four relic populations of the great-ape groups we know today: orangutan, gorilla, chimpanzee, and humans. The hominid fossil record provides an excellent case study in the identification and documentation of evolutionary patterns and processes. In his New York Times bestseller, Lucy: The Beginnings of Humankind, renowned paleoanthropologist Donald Johanson told the incredible story of his discovery of a partial female skeleton that revolutionized the study of human origins. Lucy literally changed our understanding of our world and who we come from. Since that dramatic find in 1974, there has been heated debate and–most important–more groundbreaking discoveries that have further transformed our understanding of when and how humans evolved. In Lucy’s Legacy, Johanson takes readers on a fascinating tour of the last three decades of study–the most exciting period of paleoanthropologic investigation thus far. In that time, Johanson and his colleagues have uncovered a total of 363 specimens of Australopithecus afarensis (Lucy’s species, a transitional creature between apes and humans), spanning 400,000 years. As a result, we now have a unique fossil record of one branch of our family tree–that family being humanity–a tree that is believed to date back a staggering 7 million years. Focusing on dramatic new fossil finds and breakthrough advances in DNA research, Johanson provides the latest answers that post-Lucy paleoanthropologists are finding to questions such as: How did Homo sapiens evolve? When and where did our species originate? What separates hominids from the apes? What was the nature of Neandertal and modern human encounters? What mysteries about human evolution remain to be solved? Donald Johanson is a passionate guide on an extraordinary journey from the ancient landscape of Hadar, Ethiopia–where Lucy was unearthed and where many other exciting fossil discoveries have since been made–to a seaside cave in South Africa that once sheltered early members of our own species, and many other significant sites. 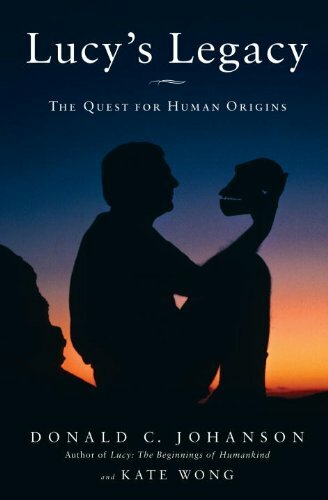 Thirty-five years after Lucy, Johanson continues to enthusiastically probe the origins of our species and what it means to be human. The title led one to expect a lot more about anthropology than it actually gave.It seemed less a book about the austropithicine Lucy and more one about the author Donald Johansen.Needless to say it is written in the first person nearly throughout, and recounts much of the life events of the author and his feelings about these, which I suppose is legitimate enough as it goes.I've run into this kind of scholarship before in some of the works of Peter Ward, Gorgon: The Monsters That Ruled the Planet Before Dinosaurs and How They Died in the Greatest Catastrophe in Earth's History.Here too the "adventure" of being a field anthropologist is pushed far forward of the information the title promises.Just as with some of the latter's books, I have to suggest that the reading audience for which this book is directed is that of the young male--though some young women may find it to their liking.Anyone looking for some insight into how, what and why an anthropologist does what he does and what the life style is like is likely to enjoy the volume, though I would add a cautionary note for those looking for future careers that not everyone who goes into anthropology is as likely to be as lucky as or to become as famous as this author did.I would also point out--having done a little field paleontology myself--that it is definitely not an "easy" way to make a living and that while hindsight might make it seem halcyon, living through it often is not! Excellent read - too short, I want more! I have enjoyed reading this book so much more than I expected. I am returning to school in the Fall to study anthropology (about 20 years later than other students in the class), but this book has sparked an interest in a period of our past that I had not initially considered studying. Dr. Johanson makes the material so accessible and fun to read that I had trouble putting the book down (even though my dogs were whining to be fed). My only complaint is that it is too short!I wanted so much more, but I assume university studies will give me plenty of that (and more). Very satisfactory transaction - delivery, condition of book, etc.And very thought-provoking subject matter - inspired a spirited book club discussion. Much background on the people and circumstances surrounding the discovery of this most important fossil which I found very interesting. Lucy is displayed for us in context not only of her place on our family tree, but as a cultural icon of her native land. I am also impressed by Dr Johanson's obvious respect and appreciation of the Ethiopian scientific community and people.Dr Johanson also discusses finds and developments subsequent to Lucy's discovery to time of publication.Detailed enough for the serious student of paleoanthropology, yet presented in a highly readable style so as to greatly please the amateur enthusiast. Fascinating, scientific yet eminently human in its approach.This book is a must read for anyone who has ever felt Lucy is important. A great read and a good primer for what has been discovered over the last few years.I just wish that Tim White had published his findings on Ardi before Don wrote this book.I would like to read his take on it. I was in college in the early 70's and I must say that just about every course I ever took could be taught the same way today.Basic Chemistry, Math, English, etc. will never change.However, the course I took in Prehistory turns out to be at least 50% wrong!How delightful.They have discovered so much more since that time and there is so much more to be discovered. I wonder what that course will look like 100 years from now. Maybe 50% is wrong now.But it's fun to watch. My only disappointment was the number of photographs in the book.There was room for many more. 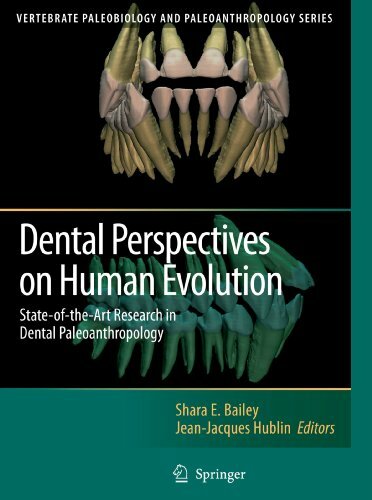 The objective of the volume is to bring together, in one collection, the most innovative dental anthropological research as it pertains to the study of hominid evolution. In the past few decades both the numbers of hominid dental fossils and the sophistication of the techniques used to analyze them have increased substantially. The book’s contributions focus on dental morphometrics, growth and development, diet and dental evolution.